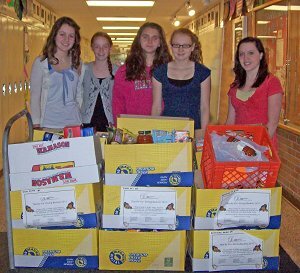 New Providence Middle School Student Services make various contributions to the holiday season. The club have their annual Thanks For Giving Basket food drive. The Junior League of Summit sponsors this program and our students are always willing to donate non perishable goods. This year, NPMS donated over 1,000 food items for Thanksgiving. The club rolls right into the winter holidays with baking for the homeless. This is an annual event and one of the clubs favorite activities. 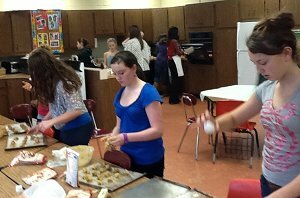 The students baked 90-Dozen sugar and chocolate chip cookies. The cookies are sent to the senior citizen home where they are stored and sent to various homeless shelters. Lastly, Student Services sponsor Toys for Tots to help make every child holiday a happy one.